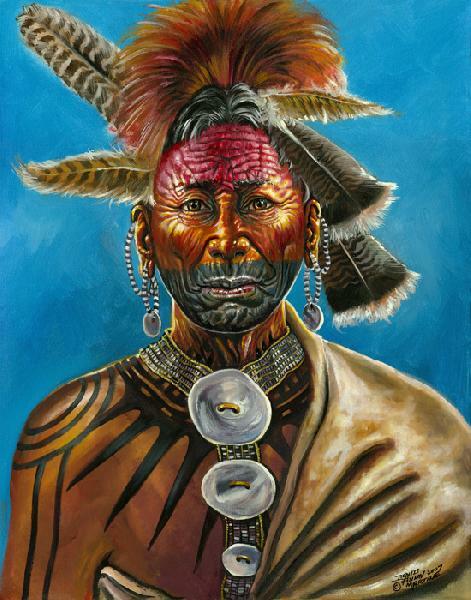 Wyandanch was a very important leader of the Montauk Indian Tribal nation of Eastern Long Island during the 17th Century. This Native American negotiated extensively with the English colonial powers during a critical time in history. Here he is shown toward the end of his life with face paint, wampum shell jewelry, tattoos, turkey feathers and deerskin mantle.